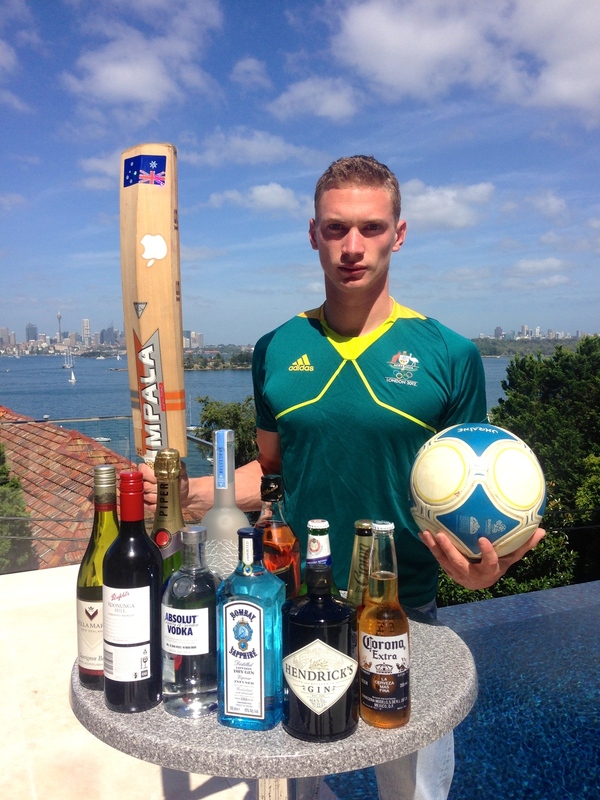 Alcohol in Australian sport is ubiquitous. From the great Australian folklore of the 52 beers that David Boon imbibed on his Sydney to London flight in 1989 to the perpetual stories of alcohol abuse that saturate all sporting codes- alcohol in sport is everywhere. There is an abundance of evidence both anecdotal and statistical revealing that many athletes consume alcohol, but little is known on how alcohol affects their athletic performance. In this blog, I am going to assess the ways that alcohol can potentially impede performance. In doing so, I hope to help you make educated choices with your consumption of alcohol. The effects of alcohol on sporting performance can be analyzed through a study of alcohols influence on muscle growth and recovery as well as its nutritional implications. Alcohol hinders muscle recovery and growth by acting as both a diuretic as well as suppressing human growth hormone (HGH) and testosterone levels. Why do we constantly use the bathrooms on a night out with alcohol? Well… sometimes we make use of the mood lighting and mirrors to fix up our hair before talking to the babe at the bar, but more often we are there for the bathrooms intended purpose. The reason we continuously use the bathroom is because alcohol suppresses our bodies ‘anti-diuretic hormone’ ADH. The job of ADH is to stop you urinating- allowing you to hold onto your body’s water and salts in times of dehydration. When alcohol suppresses this hormone, we continue to produce urine. This can cause severe dehydration and mineral loss. Each standard drink of alcohol forces your kidneys to produce 120 extra millitres of urine on top of the normal 60-80millitres per hour. Unfortunately not- you will end up urinating most of this ‘extra’ water out. For convenience of time, I will not dig deep into the effects of dehydration on performance (this will be analyzed in depth another time)- but in short, dehydration causes an overall decrease in performance and promotes lethargy, muscle cramps and reduced cognitive function. Alcohol stunts the production of HGH by as much as 70% and severely reduces the body’s excretion of testosterone. Together, lower concentrations of HGH and testosterone decrease muscle growth and repair, as well as stripping the body of muscle mass. Thus, alcohol inhibits our ability to recover and gain muscular strength- two important adaptations needed for improved performance. Alcohol holds little nutritional value to an athlete. Alcohol is relatively high in “empty calories”. Empty calories refer to calories that are not available for your muscles to use as energy. Alcohol calories are not converted to glycogen- the bodies preferred fuel source. Each standard drink contains approximately 150 empty calories that are treated by the body in the same way as fat. Alcohol thereby increases fat storage on the body and disrupts an athletes lean body mass to fat ratio. Alcohol also inhibits the absorption of many nutrients (such as thiamin --a nutrient involved in carbohydrate metabolism) and lowers production of energy (ATP). In conclusion, it is evident that alcohol has detrimental effects on our body that can decrease our ability to perform on the sporting field. However, I do not think it is realistic nor necessary to completely remove alcohol from your life. Alcohol is often present at team bonding events and I personally believe there is something to be said for alcohols ability to act as a social lubricant in gelling a group of people or a team team together. I often enjoy a glass of red wine over dinner and I am comfortable in doing so. I am not however comfortable with consuming larger amounts on a “big night out”. I work too hard and put my body through too much discomfort for those gains to be pissed away. As with most things in life, moderation is the key with alcohol- be smart and be careful.